HomeNewsBritain's Got Talent: Is Lost Voice Guy's win a watershed moment for disability? On Sunday evening, Britain's Got Talent drew to a close and this year's winner was crowned. Nothing unusual there. The pair helped the show attract its biggest audience since 2015, with overnight ratings showing an average of 8.7 million viewers tuned into the final. "Everywhere I went, all the people I met were fine with [my disability], they genuinely don't care," he says. He adds: "Hopefully what might happen, is now the media will stop making it such a terrible tragedy story. "It's very easy for the media to shine a light on the public and go 'Oh look the public voted, they must have changed,' when actually this is the first time the public have been given the chance to vote." 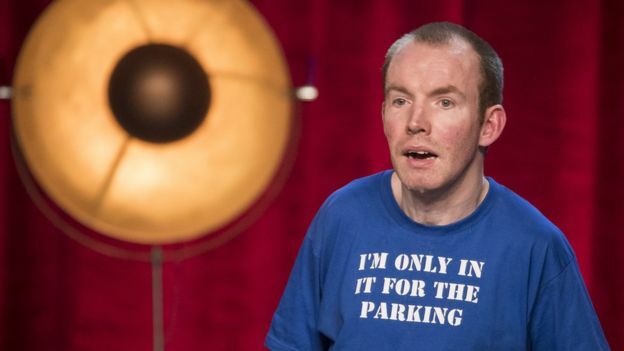 Viewers may not have had many opportunities to vote for acts like Robert White and Lost Voice Guy - whose real name is Lee Ridley - in talent shows before, but disabled people have been represented on screen in a variety of other ways in recent years. One of the key things to both White and Ridley's success, Mik thinks, is the fact that they actively made their disability the subject of some of their comedy. "There are a few people now who work in the media who are disabled but never really mention it. The thing about Lost Voice Guy is he goes on about it, it's his set. "And I think it'd be really nice if disabled people could really be allowed to talk about it again, and be considered something other than a contributor. 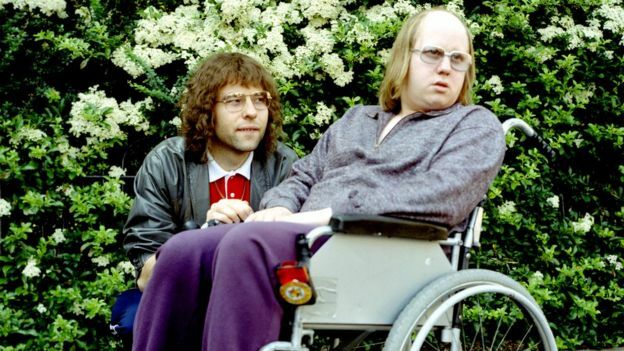 "You'll have a really funny comedy about disability, which makes disabled people laugh, but also makes non-disabled people laugh not at us, but with us. "If you're disabled, you tend to be considered the voice of disability, and that's not really fair." Another comedian Francesca Martinez, who also has cerebral palsy, has often made light of her disability in her comedy routines - including during an appearance on the BBC's Live At The Apollo. Channel 4 comedy show The Last Leg is now in its 13th series, despite it initially only being commissioned for a brief run during the London Paralympics in 2012. The show, which stars Josh Widdicombe, Adam Hills and Alex Brooker sees Hills and Brooker regularly make fun of their own disabilities - Hill was born without a right foot and Brooker's right leg was amputated when he was a baby. He also has hand and arm deformities. "I think we need disability to be normalised on screen," says Dean. "The BBC has had Silent Witness (which earlier this year featured an episode with three disabled actors) and we just need to see disabled people going about their everyday lives." "There will be things that a disabled person finds funny and it's often about things that have happened to you. Sometimes as a disabled person you go through things, and you think, if I don't laugh about it, what would I do? "And I think that's the reason shows like The Last Leg are there, because it enables everyone to have a conversation about disability, and it's no longer taboo. Dean adds: "Now that we have platforms like YouTube, disabled people are able to present themselves in the way that they want to and say this is my life that I'm living, rather than somebody who's controlling or producing the show, looking at having a version of them on screen. "Disabled people now have much more control in representing themselves and challenging people."